Need an AVI converter for Mac? 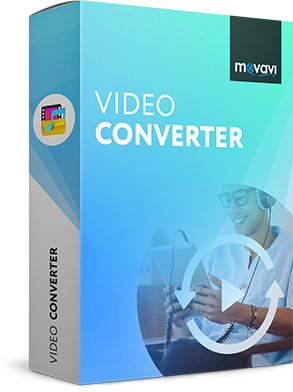 If you are a Windows user, please refer to the tutorial on using Movavi Video Converter for Windows. AVI is probably the most widely used format in the world of multimedia today. However, even this popular format is not universally supported. For example, AVIs are not supported on Apple mobile devices. So, if you want to sync your AVI videos with your iPod Touch, iPad, or iPhone, you first need to convert the AVI files to MP4, M4V, or MOV to ensure compatibility with iOS devices, Mac OS desktop computers and MacBooks. 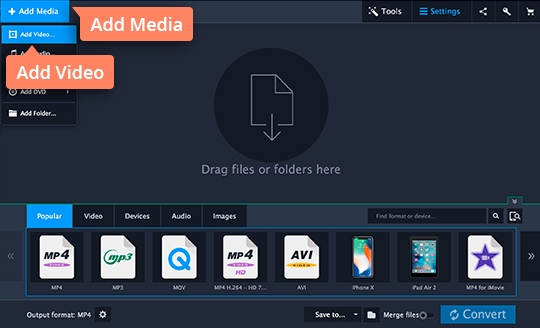 Fortunately, all you need to get this done is Movavi Video Converter for Mac – an intuitive and powerful encoding program that enables you to convert MKV, MTS, FLV, MPEG, WMV, and DVD VOB files to MPEG-4, QuickTime (MOV), as well as to many other popular formats. 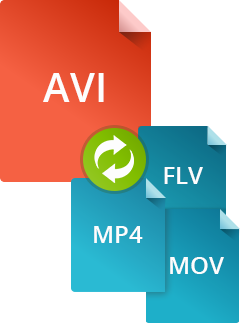 Download Movavi Video Converter now to convert AVI files for use in Mac and iOS environments in just four easy steps. When you’ve downloaded the file, run it and follow the usual Mac OS instructions to install the software. To add one or more files for conversion, click the Add Media button in the upper left-hand corner of the window and choose Add Video. At the bottom of the program interface, you will find the most popular conversion presets. If you don’t see the format you need, you can click the Video or the Devices tab. If you intend to watch the converted video on an iPad, iPhone, Android tablet, or other multimedia device, click Devices. Then select the appropriate preset from the list of brands and models. 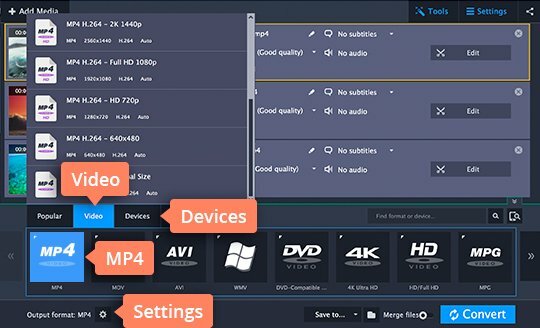 If you just want to convert AVI to MP4, 3GP, FLV, or other format for viewing on your computer, select Video and choose the appropriate format from the list. To access the advanced output format settings, where you can change parameters like video height and width, choose a sample rate, and make other adjustments, click the Cogwheel button. Before you start converting, you may want to set a new destination folder. By default, converted files are saved to your Movavi Library, but you can also click the Folder button and specify a new directory for the converted files. Then click Convert in the bottom right corner to start the conversion process. Your file will be converted in just a few minutes.